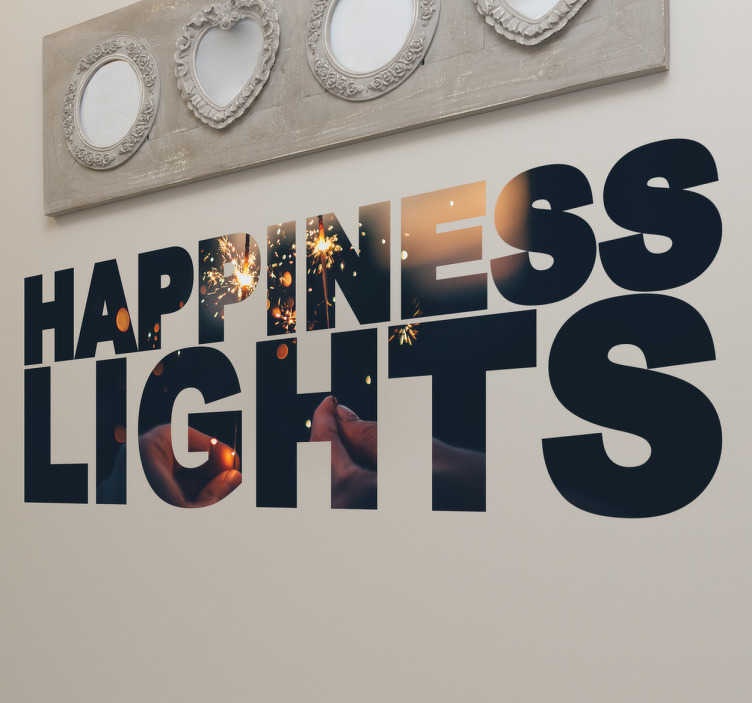 Happiness lights Wall Sticker. The letters are filled with two hands holding sparklers with lights in the background. This sticker has the ability to bring your whole room to life. Fill your home/office/business with positivity and warmth.